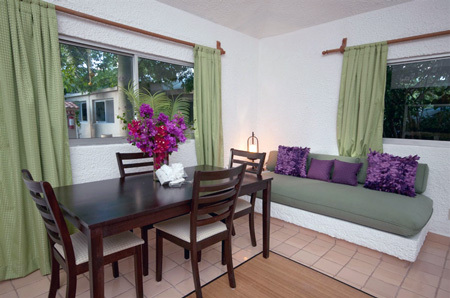 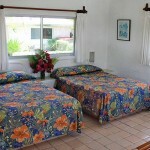 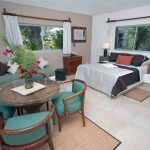 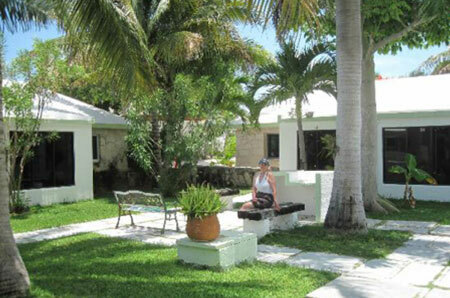 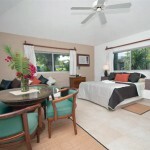 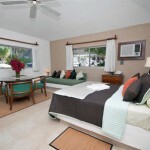 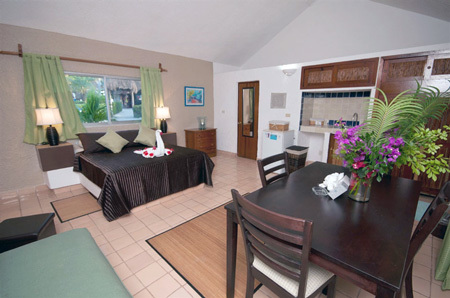 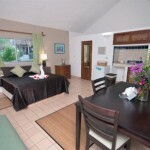 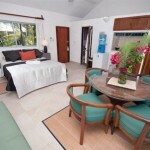 While staying at Villa Maya Bungalows, the feeling is one of comfort and charm. 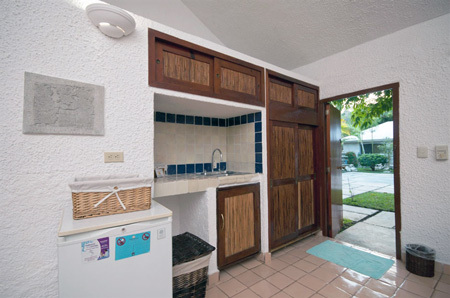 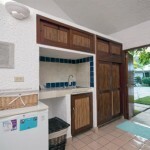 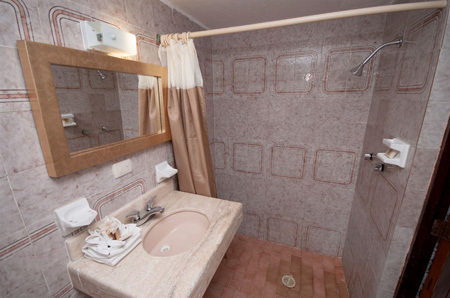 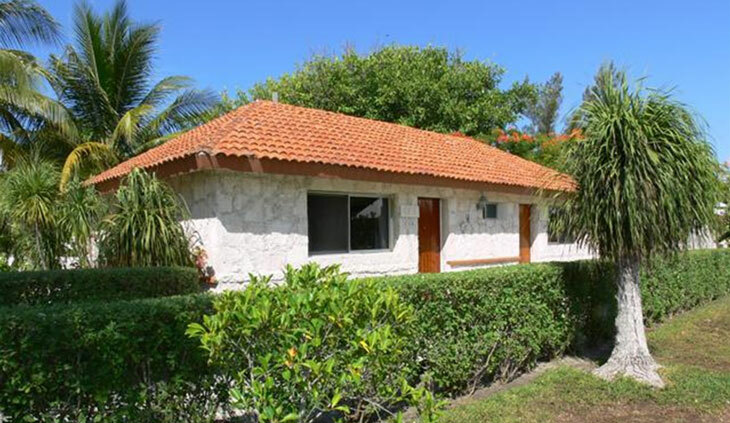 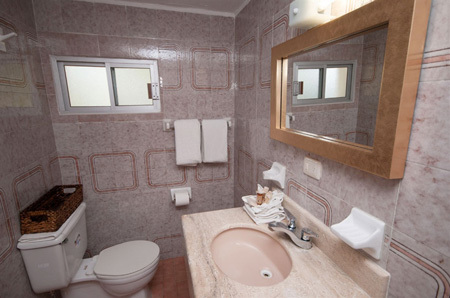 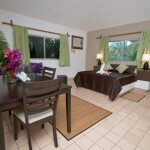 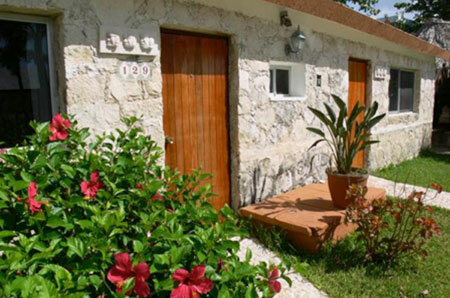 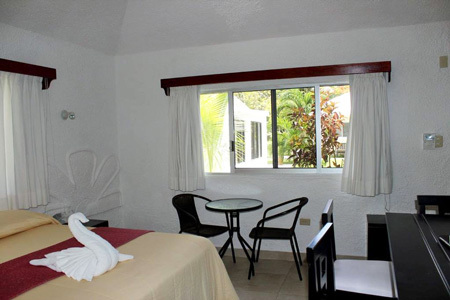 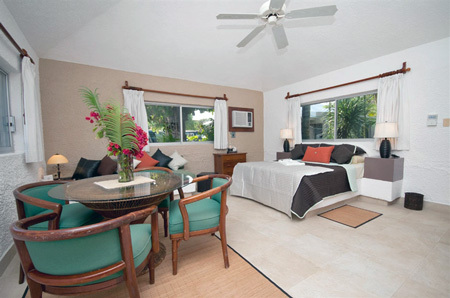 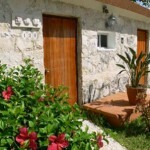 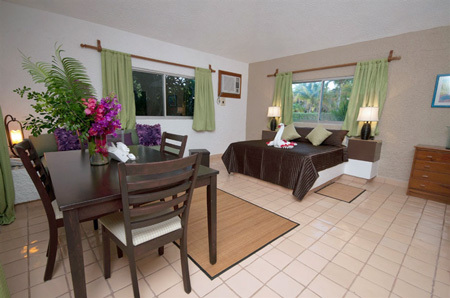 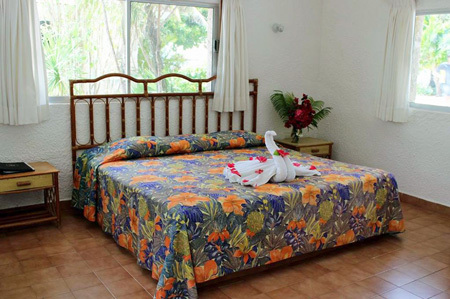 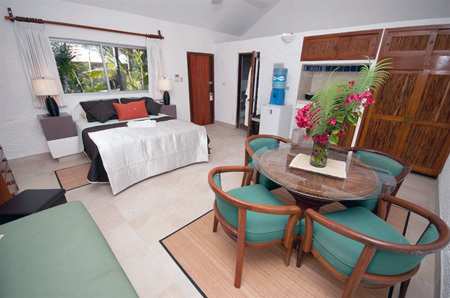 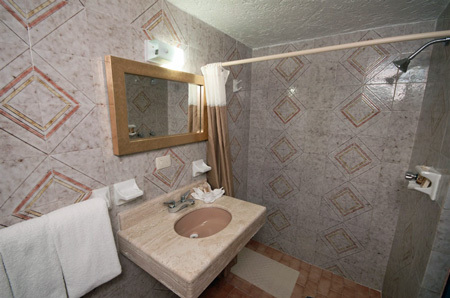 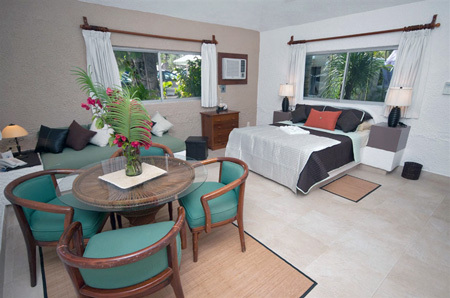 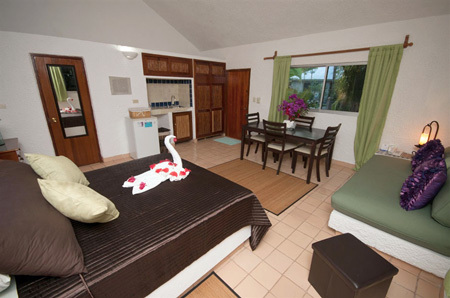 These were the first accommodations available in Akumal, and have since been remodeled and upgraded, of course, but the charm of the bungalow style hotel room is still here. 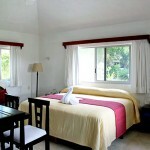 Few hotels today build their rooms with such spaciousness and as separate units. 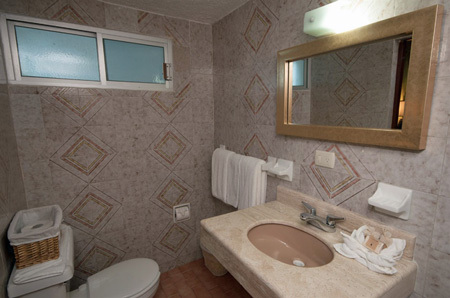 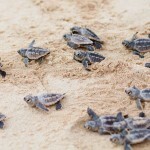 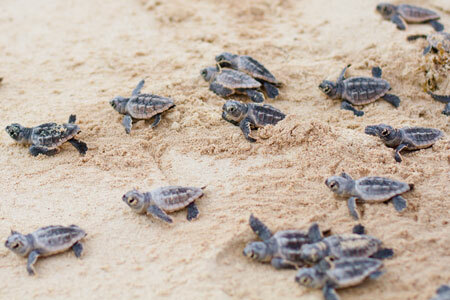 They build up, instead, and squeeze as many rooms as possible on as little land as possible. 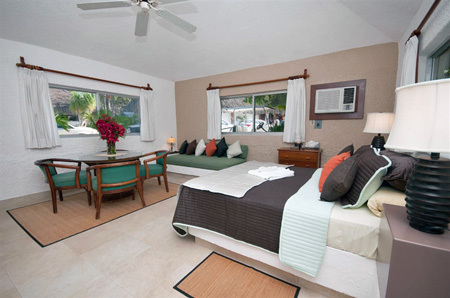 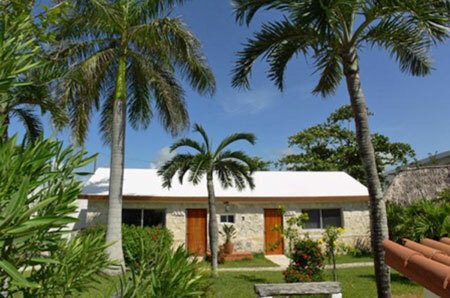 The Villas Maya “Bungalows” are ground level and nestled among the tropical gardens of the property, just steps away from the beach of Akumal Bay, and all the services of central Akumal. 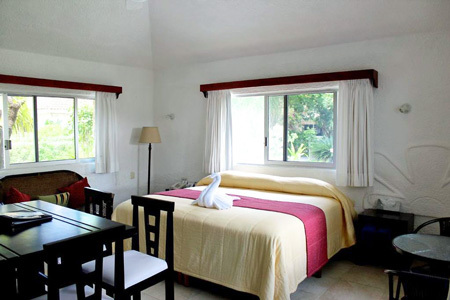 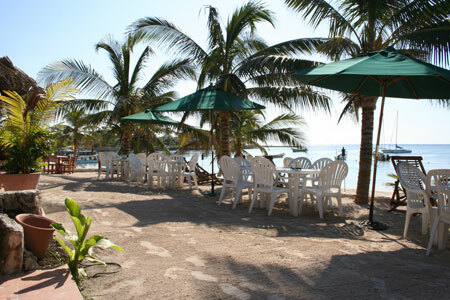 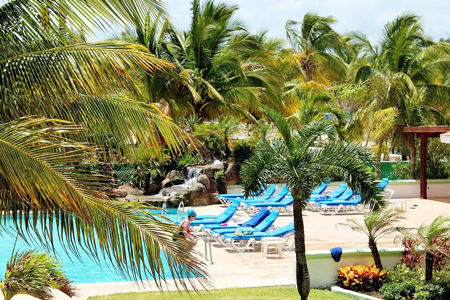 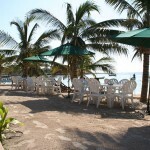 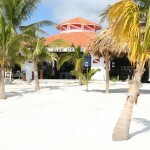 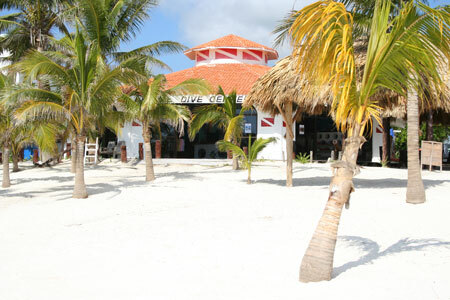 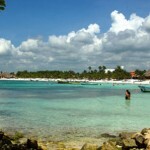 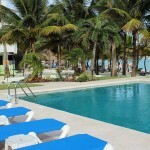 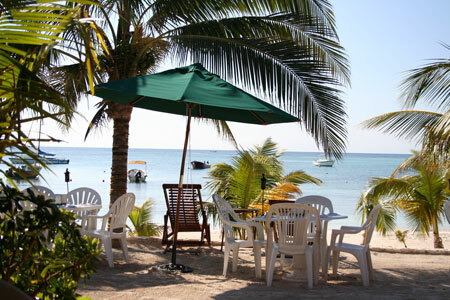 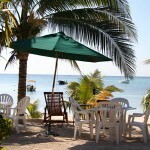 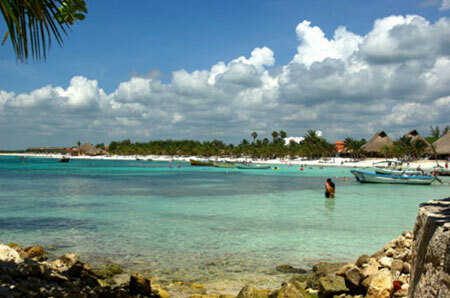 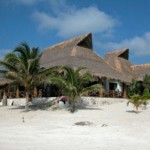 You can easily walk to the Lol-Ha restaurant and beach bar, Akumal Dive Center, grocery stores, gift shops, several other local restaurants, the CEA eco-center, car rental, money exchange and more. 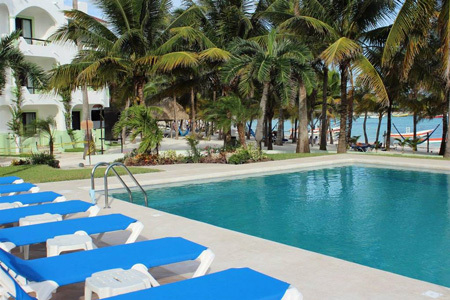 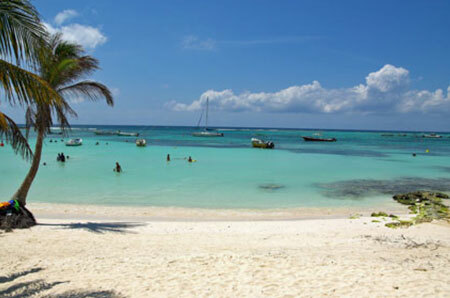 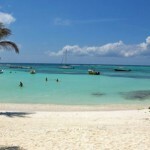 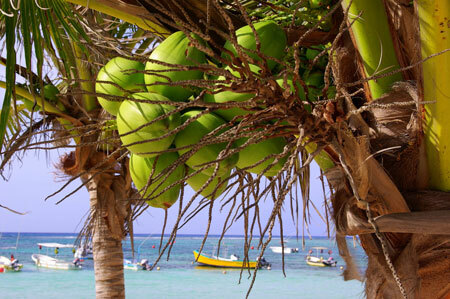 This beach IS the best in Akumal and as an added bonus, guests staying at Villas Maya also have pool privileges at Club Akumal Caribe Hotel, (the same owners) just 100 feet away, fronting the beach of Akumal Bay on the Caribbean. 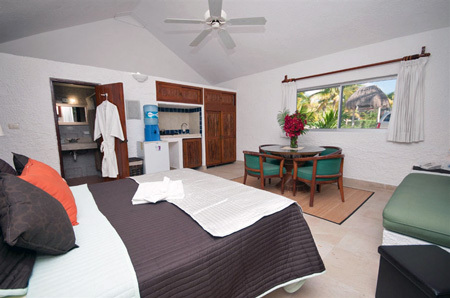 The rooms of Villas Maya are arranged in a landscaped village style layout with interconnecting walkways through the foliage. 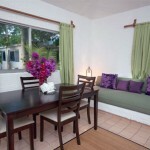 Very convenient for families or groups who want to be together yet have some personal space at the same time. 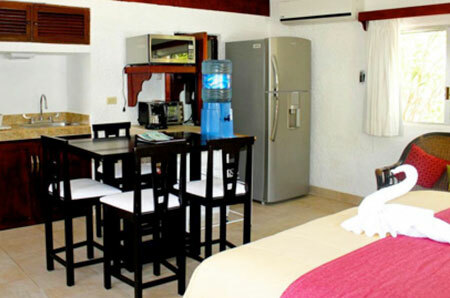 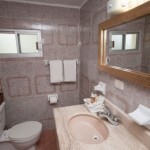 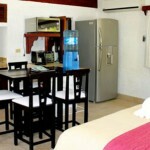 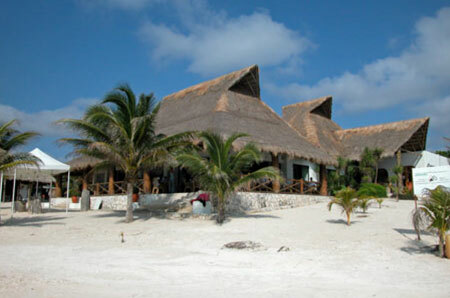 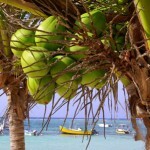 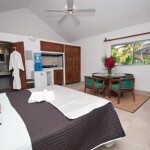 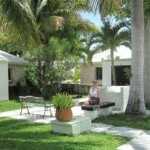 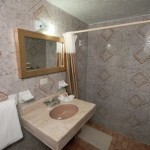 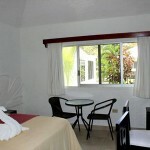 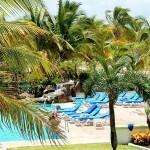 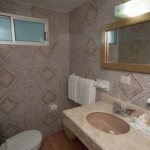 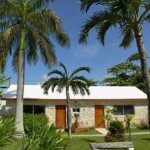 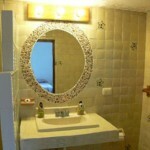 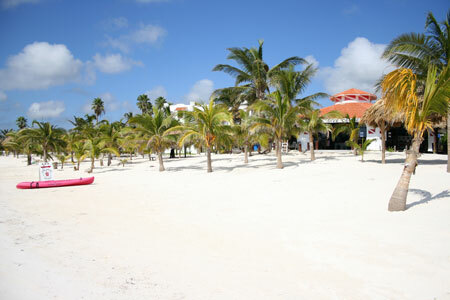 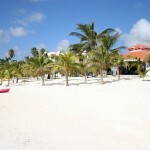 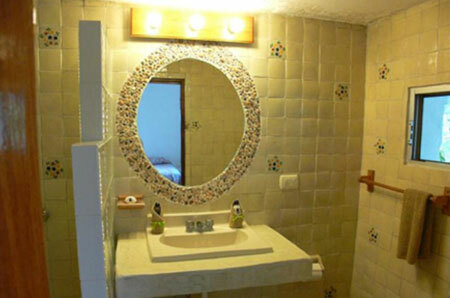 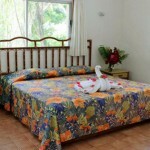 Every room has air-conditioning, full baths, ceiling fans and compact refrigerators. 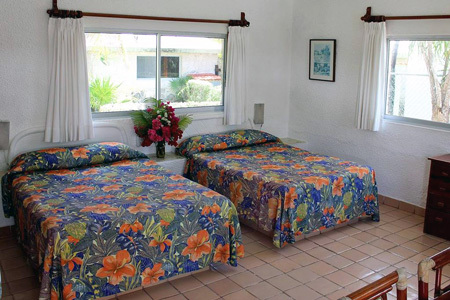 Children under 13 years of age stay free in same room as parents (room w/2 double beds). 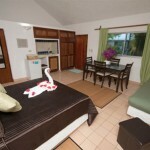 Add $5.00 + tax, per night, to above rates for room with kitchenette (subject to availability).